You’ve gone from censoring yourself to living unapologetically. But maybe you’re ready to start being responsible for your impact. You’ve gone from knowing all of the answers to admitting that you don’t know. But are you willing to start acting in the face of not knowing, instead of waiting until you do know? But maybe it’s time to practice making commitments and forgiving yourself in the face of your humanity. But maybe you’re ready to start practising true vulnerability - the kind that might have people turn away from you. But are you ready to assume the mantle of leader, and look at how you’re the one leading people to pigeonhole you? But perhaps it’s time to get responsible for the impact of hating people for their hate. It’s not that you didn’t create something magical when you achieved these results. It’s that you and I are playing a game without a finish line. 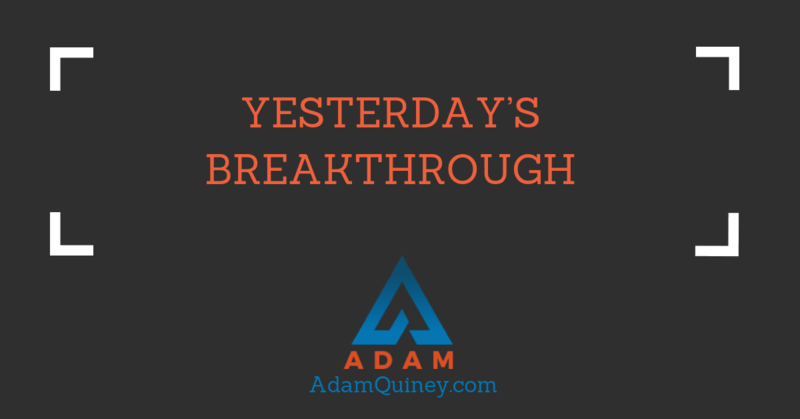 Yesterday’s breakthrough becomes today’s crutch. There are no solutions here, no once-and-for-all victories. There’s only what’s next, from where you currently stand. The more you defend yesterday’s accomplishment, the harder it is to let it go so you can create tomorrow’s victory. So yes; celebrate those wins. And then release them to the wind.